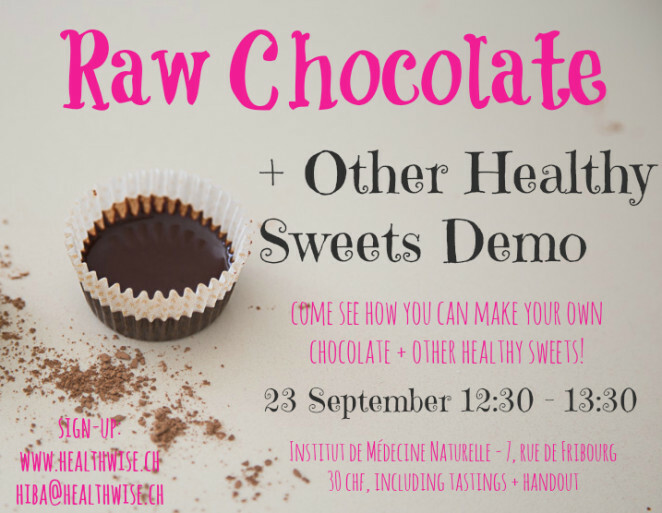 Learn how to have a healthier relationship with sugar without deprivation or guilt in this interactive workshop. ♥ Simple tips that lessen the need for sugar in your life that take into account both the physical and emotional side of our need for sugar. 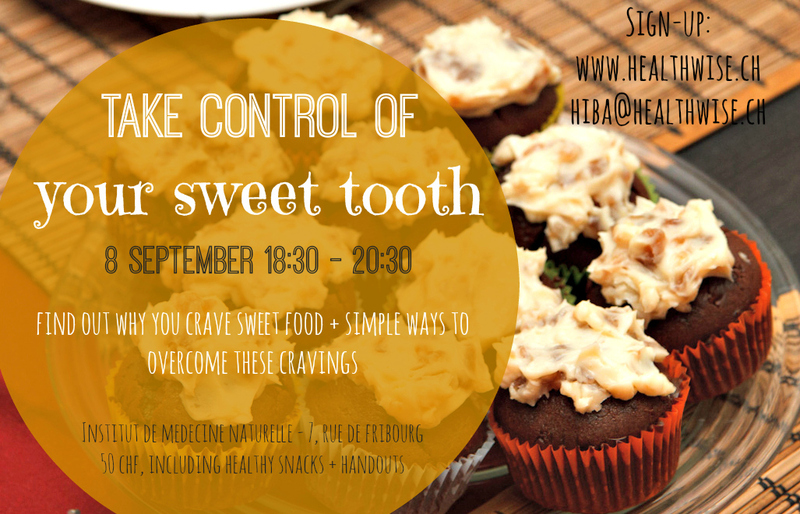 By the end of the workshop, you should have a clearer understanding of your current relationship to sugar and how to redefine it so you have fewer cravings, more energy and are able to take back control of your life. This workshop combines my background in both Integrative Nutrition and Psychology to offer a unique perspective to an issue I personally struggled with for years! 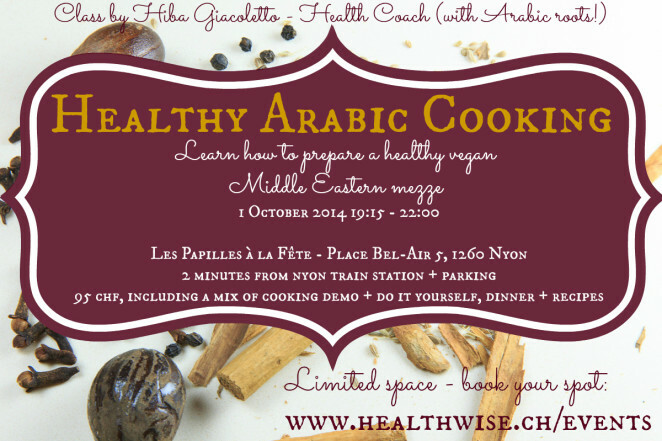 Come learn how to make humus with original twists, a much healthier falafel that is baked instead of fried, an incredible lentil dish, tabbouleh salad with an original twist and more! All recipes are vegan. 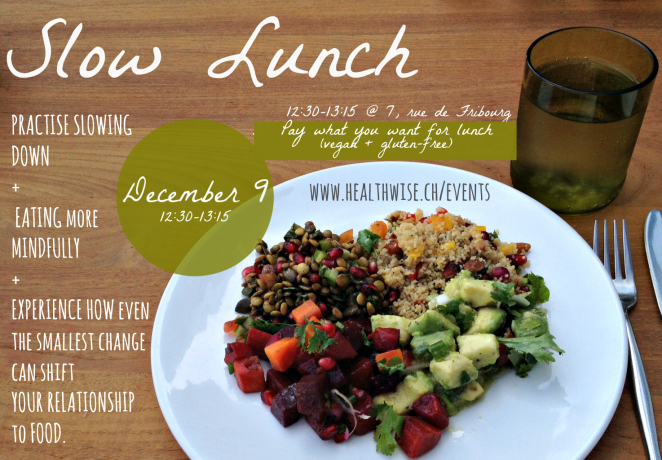 This will be a mix of cooking demo + cooking yourself in small groups of 2-3 people. We will prepare the food, then share a lovely meal together. Booking is essential (last class was fully booked) as the class is limited to 10 people. I will ask you to pay in advance to secure your spot. You can read some of the comments about the last cooking class here. Looking forward to seeing you! 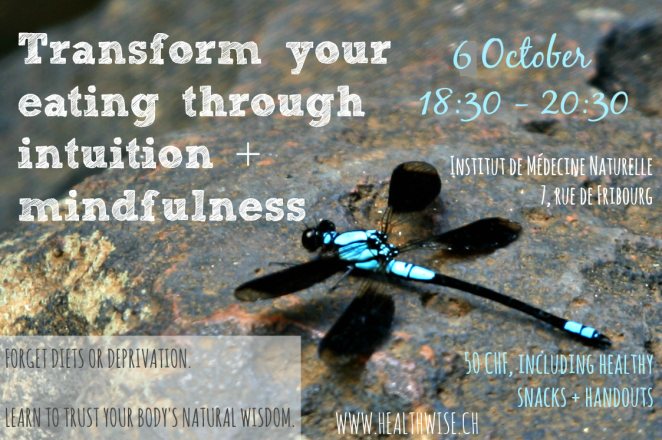 In this workshop, I will share what I have found most transformative in my own journey with food: Learning to listening to your body's wisdom instead of yet another diet or expert telling you what to eat. Bringing intuition and mindfulness to your eating is the best way to discover true freedom and pleasure with food while helping you naturally reach your ideal body weight. You will leave this workshop with simple tools to start transforming your relationship to food as well as your unique eating guidelines. Discover how to use spices to make healthy food more exciting + make your own Christmas / Winter spice mixes! ♥ I will introduce a few basic spices, their health benefits and great spice combinations. 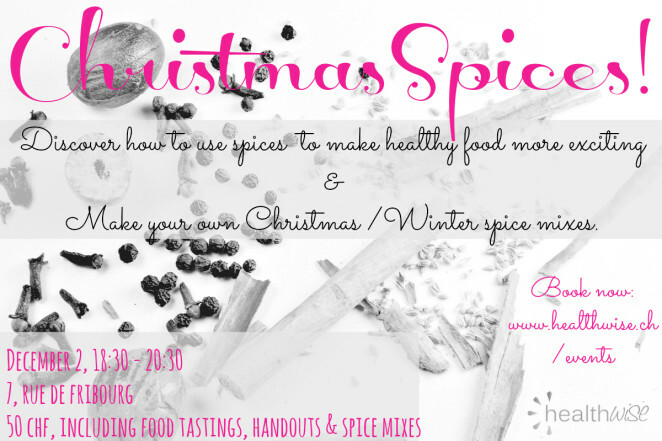 ♥ You will then recreate Christmas/Winter tastes by making your own spice mixes such as Gingerbread, Chai and Specoolos mixes which you can take home and start using straight away. ♥ You will also taste a few examples of how to use your spice mixes to jazz up healthy foods and give them a more Christmas-y taste, like quinoa porridge or smoothies. 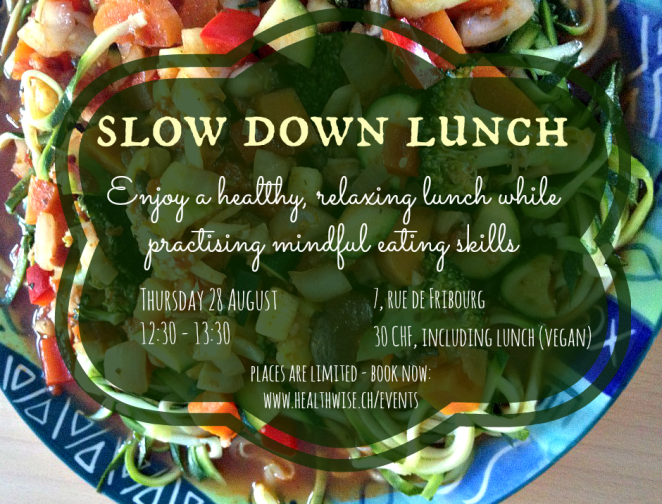 Practise slowing down and eating mindfully and experience how even just a small change can shift your relationship to food. A unique mix of practical + theoretical learnings, you will leave with the knowledge and inspiration to bring more mindfulness to your meals. Slowing down and eating more mindfully has been shown to help with digestion, weight loss and even dealing with cravings. More than focusing on WHAT you eat, it focuses on HOW you eat. Mindful eating has completely changed my relationship to food and I hope to bring this across in this session.